Pakistan [lower-alpha 2] (Urdu : پاکِستان‎), officially the Islamic Republic of Pakistan (Urdu : اِسلامی جمہوریہ پاکِستان‎), is a country in South Asia. It is the world’s sixth-most populous country with a population exceeding 212,742,631 people. In area, it is the 33rd-largest country, spanning 881,913 square kilometres (340,509 square miles). 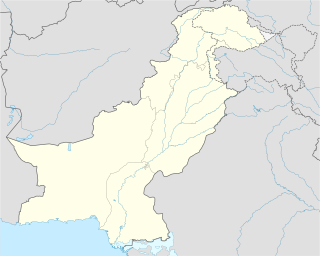 Pakistan has a 1,046-kilometre (650-mile) coastline along the Arabian Sea and Gulf of Oman in the south and is bordered by India to the east, Afghanistan to the west, Iran to the southwest, and China in the far northeast. It is separated narrowly from Tajikistan by Afghanistan's Wakhan Corridor in the northwest, and also shares a maritime border with Oman. 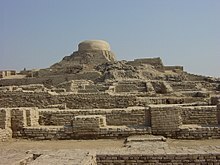 Mehrgarh, sometimes anglicized as Mehergarh or Mehrgar, is a Neolithic site located near the Bolan Pass on the Kacchi Plain of Balochistan, Pakistan, to the west of the Indus River valley. 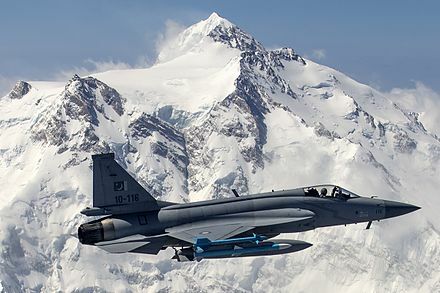 A regional    and middle power,    Pakistan has the sixth-largest standing armed forces in the world and is also a nuclear power as well as a declared nuclear-weapons state, the second in South Asia and the only nation in the Muslim world to have that status. 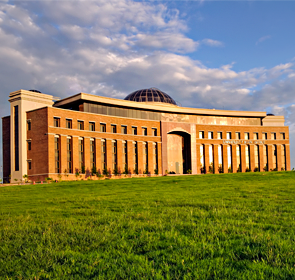 Pakistan has a semi-industrialised economy with a well-integrated agriculture sector and a growing services sector. It is ranked among the emerging and growth-leading economies of the world,   and is backed by one of the world's largest and fastest-growing middle class. Pakistan's political history since independence has been characterized by periods of military rule, political instability and conflicts with India. The country continues to face challenging problems, including overpopulation, terrorism, poverty, illiteracy, and corruption. Pakistan is a member of the UN, the Shanghai Cooperation Organisation, the OIC, the Commonwealth of Nations, the SAARC and the Islamic Military Counter Terrorism Coalition. The suffix -stan is Persian for "place of" or "country". It appears in the names of many regions in Iran, Afghanistan, Central and South Asia, but also in the Caucasus and Russia; areas where significant amounts of Persian culture were spread or adopted. Choudhry Rahmat Ali was a Pakistani nationalist who was one of the earliest proponents of the creation of the state of Pakistan. He is credited with creating the name "Pakistan" for a separate Muslim homeland in South Asia and is generally known as the originator of the Pakistan Movement. The "Pakistan Declaration" was a pamphlet written and published by Choudhary Rahmat Ali, on 28 January 1933, in which the word Pakstan was used for the first time and was circulated to the delegates of the Third Round Table Conference in 1933. The Soanian is a archaeological culture of the Lower Paleolithic in the Siwalik region of the Indian subcontinent. Contemporary to the Acheulean, it is named after the Soan Valley in Pakistan. 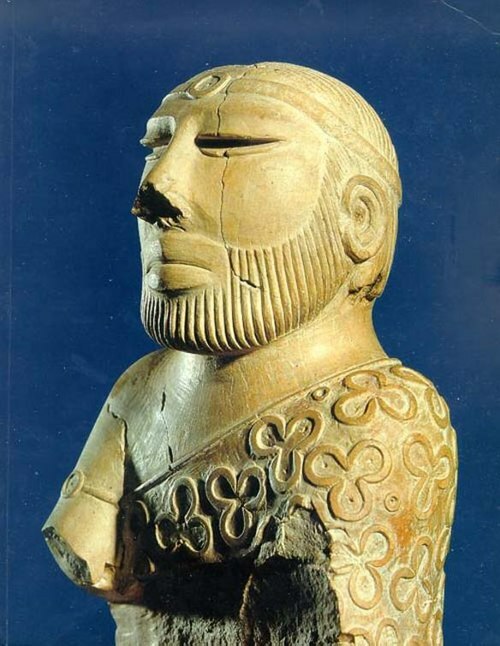 Soanian sites are found along the Sivalik region in present-day India, Nepal and Pakistan. At its zenith, the Rai Dynasty (489–632 CE) of Sindh ruled this region and the surrounding territories. The Pala Dynasty was the last Buddhist empire, which, under Dharmapala and Devapala, stretched across South Asia from what is now Bangladesh through Northern India to Pakistan. The Arab conqueror Muhammad bin Qasim conquered Sindh in 711 CE. The Pakistan government's official chronology claims this as the time when the foundation of Pakistan was laid    but the concept of Pakistan came in 19th century.The Early Medieval period (642–1219 CE) witnessed the spread of Islam in the region. During this period, Sufi missionaries played a pivotal role in converting a majority of the regional Buddhist and Hindu population to Islam. These developments set the stage for the rule of several successive Muslim empires in the region, including the Ghaznavid Empire (975–1187 CE), the Ghorid Kingdom, and the Delhi Sultanate (1206–1526 CE). The Lodi dynasty, the last of the Delhi Sultanate, was replaced by the Mughal Empire (1526–1857 CE). Pakistan's political experience is essentially related to the struggle of Indian Muslims to regain the power they lost to British colonisation. Pakistan is a democratic parliamentary federal republic, with Islam as the state religion. The first constitution was adopted in 1956 but suspended by Ayub Khan in 1958, who replaced it with the second constitution in 1962. A complete and comprehensive constitution was adopted in 1973—it was suspended by Zia-ul-Haq in 1977 but reinstated in 1985—is the country's most important document, laying the foundations of the current government. The Pakistani military establishment has played an influential role in mainstream politics throughout Pakistan's political history. The periods 1958–1971, 1977–1988, and 1999–2008 saw military coups that resulted in the imposition of martial law and military commanders who governed as de facto presidents. 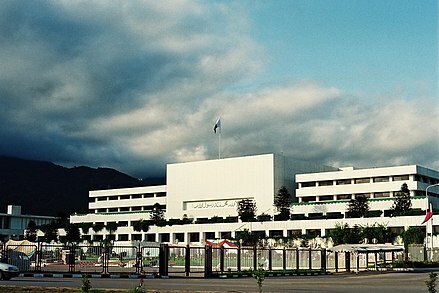 Today Pakistan has a multi-party parliamentary system with clear division of powers and checks and balances among the branches of government. The first successful democratic transition occurred in May 2013. Politics in Pakistan is centred on, and dominated by, a homegrown social philosophy comprising a blend of ideas from socialism, conservatism, and the third way. 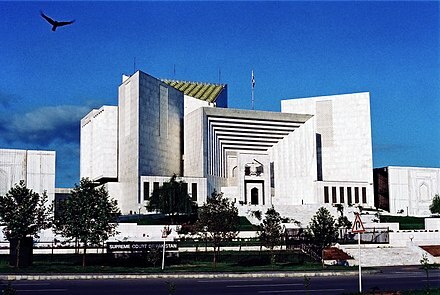 As of the general elections held in 2013, the three main political parties in the country are: the centre-right conservative Pakistan Muslim League-N; the centre-left socialist PPP; and the centrist and third-way Pakistan Movement for Justice (PTI). 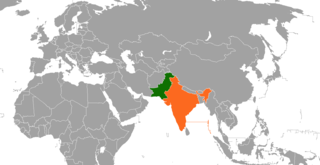 The Kashmir conflict remains the major point of contention between Pakistan and India; three of their four wars were fought over this territory. Due partly to difficulties in relations with its geopolitical rival India, Pakistan maintains close political relations with Turkey and Iran,  and both countries have been a focal point in Pakistan's foreign policy. Saudi Arabia also maintains a respected position in Pakistan's foreign policy. Pakistan does not have diplomatic relations with Israel;  nonetheless, some Israeli citizens have visited the country on tourist visas. However, an exchange took place between the two countries using Turkey as a communication conduit. Despite Pakistan being the only country in the world that has not established diplomatic relations with Armenia, an Armenian community still resides in Pakistan. Pakistan had warm relations with Bangladesh, despite some initial strains in their relationship. The law enforcement in Pakistan is carried out by joint network of several federal and provincial police agencies. The four provinces and the Islamabad Capital Territory (ICT) each have a civilian police force with jurisdiction extending only to the relevant province or territory. 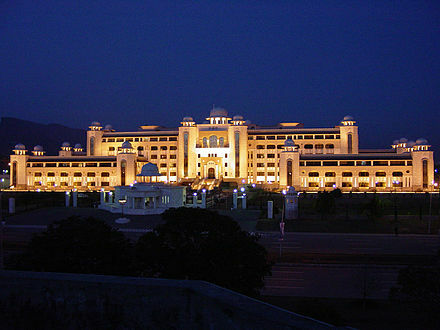 At the federal level, there are a number of civilian intelligence agencies with nationwide jurisdictions including the Federal Investigation Agency (FIA), Intelligence Bureau (IB), and the Motorway Patrol, as well as several paramilitary forces such as the National Guards (Northern Areas), the Rangers (Punjab and Sindh), and the Frontier Corps (Khyber Pakhtunkhwa and Balochistan). The Pakistan Stock Exchange is one of the best-performing markets in the world. According to Forbes , PSX delivered a return of 400% between 2010 and 2015. Surface mining in Sindh. 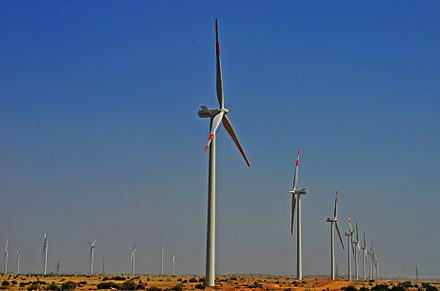 Pakistan has been termed the 'Saudi Arabia of Coal' by Forbes . The country continues to attract an estimated 500,000 foreign tourists annually. 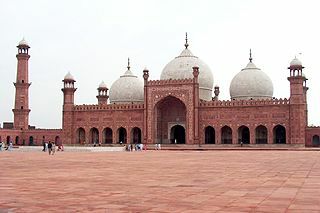 Pakistan's tourist attractions range from the mangroves in the south to the Himalayan hill stations in the north-east. The country's tourist destinations range from the Buddhist ruins of Takht-i-Bahi and Taxila, to the 5,000-year-old cities of the Indus Valley Civilization such as Mohenjo-daro and Harappa. 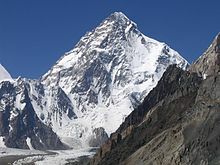 Pakistan is home to several mountain peaks over 7,000 metres (23,000 feet). The northern part of Pakistan has many old fortresses, examples of ancient architecture, and the Hunza and Chitral valleys, home to the small pre-Islamic Kalasha community claiming descent from Alexander the Great. 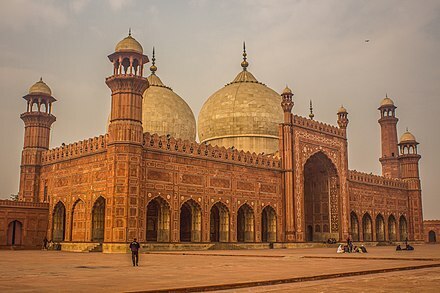 Pakistan's cultural capital, Lahore, contains many examples of Mughal architecture such as the Badshahi Masjid, the Shalimar Gardens, the Tomb of Jahangir, and the Lahore Fort. Map showing population density in Pakistan, per 2017 census . According to Provisional results of 2017 Census in Pakistan, the total population in Pakistan was 207.8 million, representing a 57% increase in 19 years. which is equivalent to 2.6% of the world population. Pakistan's census provisional results exclude data from Gilgit-Baltistan and Azad Kashmir, which is likely to be included in the final report. Noted as the sixth most populated country in the world, its growth rate in 2016 was reported to be 1.45%, which is the highest of the SAARC nations, though this growth rate has been decreasing in recent years. The population is projected to reach 210.13 million by 2020. More than sixty languages are spoken in Pakistan, including a number of provincial languages. Urdu—the lingua franca and a symbol of Muslim identity and national unity—is the national language understood by over 75% of Pakistanis. It is the main medium of communication in the country but the primary language of only 8% of Pakistan's population. Urdu and English are the official languages of Pakistan, with English primarily used in official business and government, and in legal contracts;  the local variety is known as Pakistani English. The Punjabi language, the most common in Pakistan and the first language of 44.2% of Pakistan's population,  is mostly spoken in the Punjab. 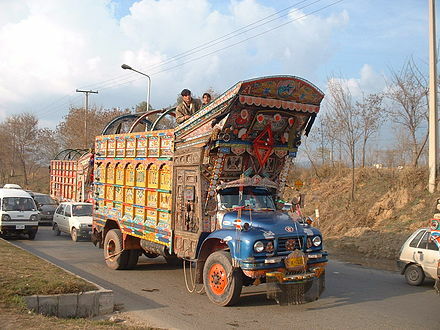 Saraiki, mainly spoken in South Punjab and Hindko, is predominant in the Hazara region of Khyber Pakhtunkhwa. Pashto is the provincial language of Khyber Pakhtunkhwa and is well understood in Sindh and Balochistan. The Sindhi language is commonly spoken in Sindh while the Balochi language is dominant in Balochistan. Brahui, a Dravidian language, is spoken by the Brahui people who live in Balochistan. Gujarati community leaders in Pakistan claim that there are 3 million Gujarati speakers in Karachi. Marwari, a Rajasthani language, is also spoken in parts of Sindh. Various languages such as Shina, Balti, and Burushaski are spoken in Gilgit-Baltistan, whilst languages such as Pahari, Gojri, and Kashmiri are spoken by many in Azad Kashmir. Cricket, however, is the most popular game across the country. The country has had an array of success in the sport over the years, and has the distinct achievement of having won each of the major ICC international cricket tournaments: ICC Cricket World Cup, ICC World Twenty20, and ICC Champions Trophy; as well as the ICC Test Championship. The cricket team (known as Shaheen) won the Cricket World Cup held in 1992; it was runner-up once, in 1999. Pakistan was runner-up in the inaugural World Twenty20 (2007) in South Africa and won the World Twenty20 in England in 2009. In March 2009, militants attacked the touring Sri Lankan cricket team,  after which no international cricket was played in Pakistan until May 2015, when the Zimbabwean team agreed to a tour. Pakistan also won the 2017 ICC Champions Trophy by defeating arch-rivals India in the final. Association Football is the second most played sports in Pakistan and it is organised and regulated by the Pakistan Football Federation. Football in Pakistan is as old as the country itself. Shortly after the creation of Pakistan in 1947, the Pakistan Football Federation (PFF) was created, and Muhammad Ali Jinnah became its first Patron-in-Chief. The highest football division in Pakistan is the Pakistan Premier League. Pakistan is known as one of the best manufacturer of the official FIFA World Cup ball. The best football players to play for Pakistan are Kaleemullah, Zesh Rehman, Muhammad Essa, Haroon Yousaf, and Muhammad Adil. ↑ "Includes data for Pakistani territories of Kashmir; Azad Kashmir (13,297 km2 or 5,134 sq mi) and Gilgit–Baltistan (72,520 km2 or 28,000 sq mi). Excluding these territories would produce an area figure of 796,095 km2 (307,374 sq mi)." ↑ Pronounced variably as /ˈpækɪstæn/ ( listen ), /ˈpɑːkɪstɑːn/ ( listen ), /ˌpækɪˈstæn/ , and /ˌpɑːkɪˈstɑːn/ . Islamic Republic of Pakistan maintains an extensive and large diplomatic network across the world. 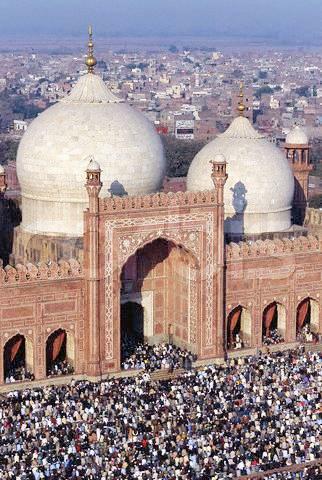 Pakistan, being the second largest Muslim-majority country in terms of population and its status as a declared nuclear power, being the only Muslim majority nation to have that status, plays a part in its international role. 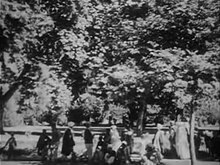 The Indo-Pakistani War of 1947–1948, sometimes known as the First Kashmir War, was fought between India and Pakistan over the princely state of Jammu and Kashmir from 1947 to 1948. It was the first of four Indo-Pakistan Wars fought between the two newly independent nations. Pakistan precipitated the war a few weeks after independence by launching tribal lashkar (militia) from Waziristan, in an effort to capture Kashmir, the future of which hung in the balance. The inconclusive result of the war still affects the geopolitics of both countries. Lashkar-e-Taiba is one of the largest and most active Islamist militant organisations in South Asia, operating mainly from Pakistan. It was founded in 1987 by Hafiz Saeed, Abdullah Azzam and Zafar Iqbal in Afghanistan, with funding from Osama bin Laden. 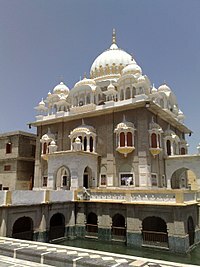 Its headquarters are in Muridke, near Lahore in Punjab province of Pakistan, and the group operates several training camps in Pakistan-administered Kashmir. 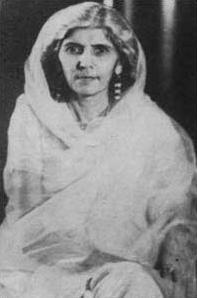 Fatima Jinnah was a Pakistani dental surgeon, biographer, stateswoman, and one of the leading founders of Pakistan. Khurshid Hasan Khurshid was the Private Secretary of Muhammad Ali Jinnah, the first Governor-General of Pakistan. He was sent by Jinnah to Jammu and Kashmir in October 1947 shortly before the tribal invasion. He was arrested by Indian forces and jailed in Srinagar and finally repatriated in a prisoner exchange in 1949. 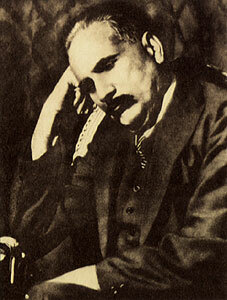 He was the first elected president of Azad Kashmir. He was the founder of first Constitution of Azad Kashmir. The Jinnah family was a political family of Pakistan. Jinnahs have played an important role in the Pakistan Movement for creation of Pakistan, a separate country for Muslims of India. The family held the leadership of All-India Muslim League, and its successor, Muslim League, until it dissolved in 1958 by martial law. Originally from a Gujarati background, they moved to Karachi from Kathiawar, Gujarat in the 19th century. Pakistan Zindabad is a slogan used by Pakistanis as an expression of victory or patriotism, often used in political speeches. Its use started even before the creation of Pakistan, during the later phase of the Pakistan Movement. The slogan became a battle cry and greeting for the Muslim League, which was struggling for an independent country for the Muslims of South Asia, when World War II ended and the independence movement geared up. During the partition the slogan was shouted when trains transporting Muslims entered Pakistan. Pakistan Zindabad is also the National slogan of Pakistan. The history of the Islamic Republic of Pakistan began on 14 August 1947 when the country became an independent nation in the form of Dominion of Pakistan within the British Commonwealth as the result of Pakistan Movement and the partition of India. While the history of the Pakistani Nation according to the Pakistan government's official chronology started with the Islamic rule over Indian subcontinent by Muhammad bin Qasim which reached at it's zenith during Mughal Era. In 1947 Pakistan consisted of West Pakistan and East Pakistan. The President of All-India Muslim League and later the Pakistan Muslim League, Muhammad Ali Jinnah became Governor-General while the secretary general of the Muslim League, Liaquat Ali Khan became Prime Minister. 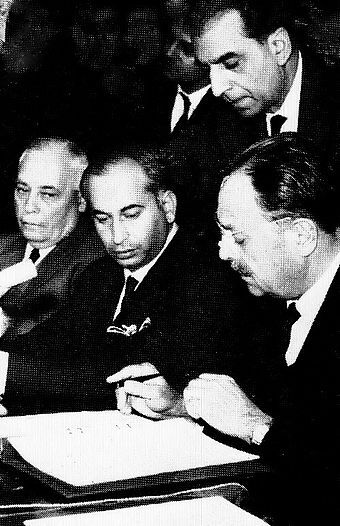 The constitution of 1956 made Pakistan an Islamic democratic country. Bleed India with a Thousand Cuts is a military doctrine followed by Pakistan against India. It consists of waging covert war against India using insurgents at multiple locations. According to scholar Aparna Pande, this view was put forward in various studies by the Pakistani military, particularly in its Staff College, Quetta. Peter Chalk and Christine Fair cite the former director of the Inter-Services Intelligence (ISI) explicating the strategy. ↑ Paul, T. V. (2012). International Relations Theory and Regional Transformation. Cambridge University Press. p. 11. ISBN 978-1-107-02021-4 . Retrieved 3 February 2017. The regional powers such as Israel or Pakistan are not simple bystanders of great power politics in their regions; they attempt to asymmetrically influence the major power system often in their own distinct ways. ↑ Kaplan, Seth. "Is Pakistan an emerging market?" . Retrieved 27 February 2016. ↑ S. M. Ikram (1995). Indian Muslims and partition of India. Atlantic Publishers & Dist. p. 177. ISBN 978-81-7156-374-6 . Retrieved 23 December 2011. These sentiments were presented on behalf of our thirty million Muslim brethren who live in Pakistan, by which we mean the five northern units of India, viz. 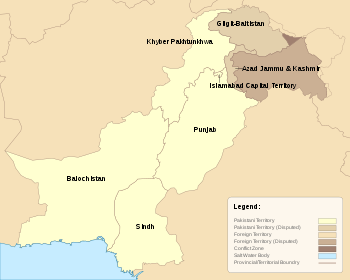 Punjab, North-West Frontier Province, Kashmir, Sind and Baluchistan (Pakistan--land of the pure--was later adopted as the name of the new Muslim state, and spelled as Pakistan). ↑ Robert Arnett (2006). India Unveiled. Atman Press. pp. 180–. ISBN 978-0-9652900-4-3 . Retrieved 23 December 2011. ↑ Robert L. Canfield (2002). Turko-Persia in historical perspective. Cambridge University Press. pp. 4–21. ISBN 978-0-521-52291-5 . Retrieved 28 December 2011. ↑ Daniel Lak (4 March 2008). India express: the future of a new superpower. Viking Canada. p. 113. ISBN 978-0-670-06484-7 . Retrieved 14 March 2012.